The Office of Art in Embassies announced the recipients of the US Department of State International Medal of Arts award. Nick Cave, Stephanie and Bill Sick Professor of Fashion, Body and Garment, is one of six contemporary artists who will be honored with the International Medal of Arts at the biennial ceremony on January 12 in Washington, DC. 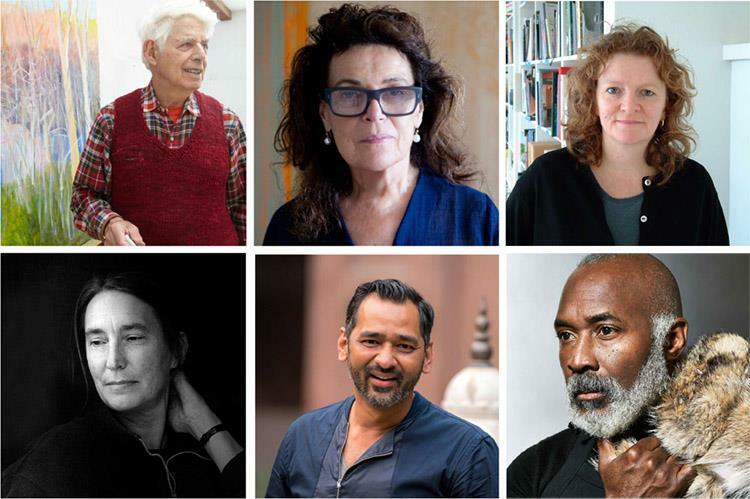 Jenny Holzer, Wolf Kahn, Imran Qureshi, Pat Steir, and Rachel Whiteread were also chosen by the US Department of State for their commitment to the Art in Embassies mission of cultural diplomacy through the visual arts and international cultural exchange. These six artists have helped define America’s cultural legacy through their artistic excellence and diplomatic contributions. Their artwork serves as a bridge with other nations, encourages discussion and expression, and highlights the communal experiences of people from countries, cultures, and backgrounds worldwide. On January 11, in conjunction with the ceremony, Nick Cave, Imran Qureshi, and Pat Steir will be featured in a panel discussion at the Hirshhorn Museum and Sculpture Garden, the Smithsonian’s museum of modern and contemporary art. The event inaugurates a new, long-term partnership between Art in Embassies and the Hirshhorn, designed to promote cultural dialogue.